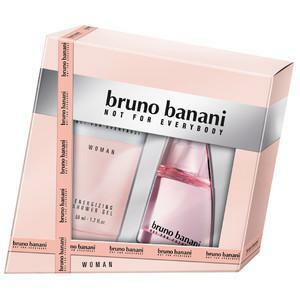 Bruno Banani Woman (Eau de Toilette) is a perfume by Bruno Banani for women and was released in 2001. The scent is floral-sweet. It is being marketed by Coty. I'll spare you a boring comment. What is there to say about an 18 year old scent about which everything has been said !? I want to summarize myself and only say that I am born 85 and this fragrance in the middle of the 2000s was the absolute "towing" fragrance for girls. The fashion was funny from today's point of view, but that was so in every epoch. But back to the scent, almost every girl had it because it was affordable and it could also afford apprentices or students and it has spread by word of mouth like a wildfire. When you met a cute girl and slowly got closer, hugged each other and then this super feminine scent came into your nose... it was like floating on cloud 7. I just want to say that this fragrance had a very special effect on us guys. It's the ONLY women's fragrance I own and that's what it means when an experienced man puts a pink women's bottle on his shelf just to smell it from time to time and to take himself back to the horny times back then !! A pale pink sale shaped bottle , a very feminine , clean but also warm bouquet, a sense of cleanless: this is Bruno Banani. An easy to wear perfume perfect as every day scent, in the free time as well as at the office for its light and discrete sillage. You can perceive waterlily and freesia soft notes made warmer by a vanilla touch at the base. A vanilla not too sweet or sweetish, not oriental or gourmand, but only suggested and good balanced. The longevity isn't so good , the sillage maybe is a little weak, but you can spray this scent in summer too for its lightness. Just the perfect "casual " scent for every day. 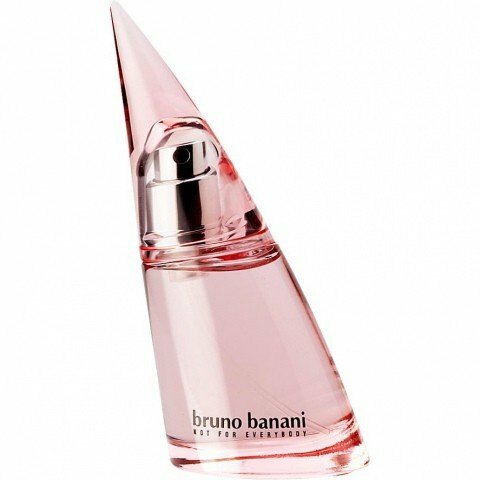 The perfume is available as one 40ml size and the price is affordable. ....and this fragrance came to the store of my teenage perfume dealer. I loved the scent back then. For a small mark I got a for me great everyday smell. I always noticed immediately when spraying fruity orange which was floral accompanied. I also noticed it in the later course rather fruity-sweet and flowery breathed. At that time I could only overdose this fragrance to the chagrin of some people. In my youthful carelessness I was probably of the opinion that a lot helps a lot. Today I know it's not like that. At that time I dieselled myself without consideration with "my" scents. And this fragrance can be very penetrating to others. Although I liked the scent earlier I have to say that I grew out of it quickly. I noticed it very clearly when I recently met this scent at a colleague. It is clearly unmistakable for me and I could not bear it long around me. Good then and too pushy now. Strangely enough, the body lotion of this fragrance smells incredibly good and I still buy it today. It's milder, more restrained, flowery. And I am often asked about the good scent when I have creamed myself with her. So this scent in body lotion form still belongs to my scent equipment. unattainable league. Unreachable, because it simply did not exist in our country. And our pocket money was, if available, so scarce that we divided ourselves in such a way that even a fragrance for 10, 12 euros was organized only on special occasions. We all know the magazine ads for the perfume, you I didn't know the smell for years. It was the first time he met me after I moved to another federal state when a friend called this incredibly fragrant bottle her own. The bottle of matt-recycling paper magazines! Like me, my girlfriend had already moved into her own apartment when I was a minor and lived a life that seemed very privileged to me at the time due to a much better financial situation. I loved using that smell on her. It was my first step towards the scent of the mainstream, I had previously only possessed Yves Rocher scents. For my 18th birthday I received a voucher for a fairly modest amount for the turquoise fragrance shop, but I felt like a queen. And that scent was one of those that was allowed to come with me. It was winter, and I never forget that moment. I sprayed this perfume on my scarf in front of the store, closed my eyes and only noticed the glow of the pedestrian zones and the smell of cotton candy through my eyelids. To this day I see this memory in front of me when I smell this scent. Interestingly, this scent was also omnipresent in our discos, which were moving in the black scene. So I merged with the general cloud of scent around me, didn't stand out and was part of a group that smelled like me. It took me a while to buy another bottle. I felt too old in my early 20s, too grown-up for this teen scent in an ugly bottle. When I could afford it, I preferred the fragrance of the noble brand rather than the drugstore water. But at some point it was there, the memory. The memory of a fragrance that brought me into the middle, into the mainstream, to which I never wanted to belong. Two souls lived in my chest when I didn't want to attract attention, but please didn't want to be like the others. It may have been two or three years ago, when I dragged home another bottle with the unattractive shape. And what can I say? At the rate I've been using it so far, it will be used up in 2045. The fragrance is tame, well-behaved and almost conservative. He's as confident as I was when I was 18 - I had a big mouth, but inside I was afraid to come out of myself. I didn't want to attract attention. Now the fragrance still smells quite intrusive when overdosed. What many young people do. Since I finished university, I no longer travel by bus - which is why I could no longer find the scent in the wild. Whereby, at the last party a friend wore it, whereby I am clearly more content with this than with Alien! I understand when some people don't like this scent. He is still not my first choice, although I still like him. Would I like him without those memories? Maybe not. It's monotonous, has no development and I can't smell anything out. Maybe my nose isn't trained for it either. I perceive a slightly artificial note that discourages me from wearing the scent in the office. A booming Oriental? No problem! But this one? I'm ambivalent and think the last bottle lives with me. But I love remembering. The bottle is a fluid reminder of times when things weren't easy, but I was on my way to finding myself. If I had to say what I remember most this year, it was this perfume, too. 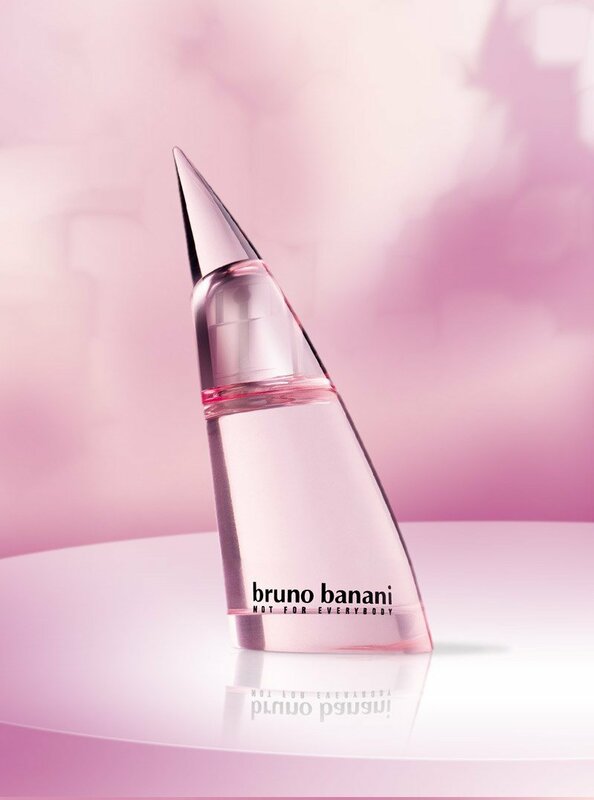 I admit that I had no idea what to expect from this one but I was pleasantly surprised by Bruno Banani "Woman". On my skin the freesia is the first and most powerful note (I love freesia, so that is always a good thing) it's not a 'slap-you-in-the-face' note, but rather a fresh and light freesia that is quickly teamed up with water-lily (which adds a 'water fresh' vibe) then vanilla, musk and in the drydowm a faint orange note help make this a very pretty and easy to wear floral with a fresh character. I got this for a steal and I must say that all-in-all it's a very well blended scent. I find that most of the time when I am surprised by a "cost effective" scent, the "nose" behind its creation explains it al. Thierry Wasser has made some real beauties and he has clearly tried to make a good value/price scent. A fun & affordable scent for all round wear and perfect for spring / summer. It's more fresh-floral than sweet and is a very pretty & happy scent. Let it settle after you spray it because it needs a bit of time to unfold. Silage is: "pretty fresh florals that are amplified by a spray on your clothes" - longevity is good with on me 5+ hours.